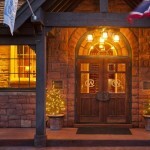 The Wort Hotel is not available for online booking. Please submit an inquiry or call our agents to get pricing and availability information. 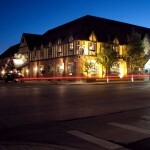 The historic Wort Hotel is Jackson Hole's premier property, located in the heart of downtown and only steps from activities, galleries, museums, shopping, restaurants, nightlife and everything the destination has to offer. 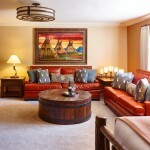 Our 55 spacious guest rooms and suites are designed with elegant furnishings and tasteful Western design and textures. Additional amenities include access to our Jacuzzis and fitness center, valet parking, nightly turndown service, the upscale Silver Dollar Grill and the famous Silver Dollar Bar - which all work together to provide a fantastic experience for our guests. Silver Dollar Suite- In this fine western suite the centerpiece is a recreation of the famous Silver Dollar Bar inlaid with 250 Silver Dollars minted in 1921. Alongside the original Western artwork and custom furnishings is an authentic Western gaming table. The Western king sized master bedroom is adjoined by a spacious bathroom including a two person Jacuzzi tub, over sized shower with dual heads, and over sized granite vanity. 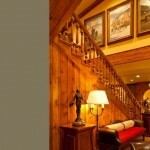 Cowboy Suite- The perfectly designed Cowboy Suite gives you rustic western elegance featuring original Western paintings and bronze artwork. The parlor includes a wet-bar, large desk, and over-sized seating area with leather couches and chairs. 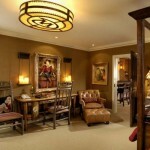 Cowgirl Suite- This is an extravagant two bedroom suite with original bronzes and many other creative cowgirl touches. The master bedroom has a gorgeous tooled-leather Western canopy king sized bed, wet-bar, large desk, and over sized sitting area. Grand Teton Suite- This two bedroom suite is custom designed with elegant mountain decor with beautiful murals of the Grand Teton Mountain Range. The king sized master bedroom has a handcrafted king bed with lush bedding, two beautiful leather chairs, a custom desk and private bath. 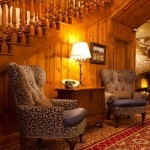 The parlor room includes a wet-bar, desk, and seating area with a love seat and leather chair. This room also offers a queen sized bed and a second full bath. Shoshone Suite- This two room Native American themed suite provides two flat screen TV's, an executive refrigerator, a custom wet-bar, and original murals. 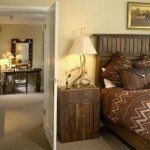 The master king bedroom includes two comfortable leather chairs, a handcrafted desk, and private bath. 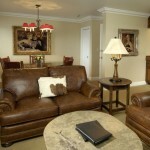 The parlor room includes a custom king sized bed, wet-bar, desk and sitting area with a love seat and leather chair. Junior King Suite- This extra large L-shaped suite includes a lavish king sized bed, wet-bar, and overstuffed leather sofa and chairs. 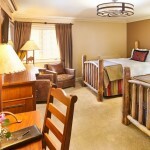 Grand Room- This room is named after the largest mountain in the Teton Range and is extra spacious. 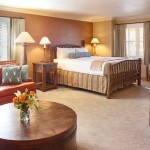 The Grand Room is available with either two queen beds or one king bed and includes an overstuffed sofa and chairs. Deluxe Room- The Deluxe Room is available with either two queen beds or one king bed and is beautifully decorated with lodge pole pine furniture and western fabrics and accents. Silver Dollar Bar- The famous Silver Dollar Bar known for the 2,032 uncirculated 1921 Morgan Silver Dollars inlayed in its surface hosts free live entertainment three nights a week. The most popular night in town is Bluegrass Tuesdays. Silver Dollar Grill- The Silver Dollar Grill offers a great Western dining experience with deliciously prepared game and regional fare as well as classic dishes. Silver Dollar Showroom- If you love music and dancing then stop by The Showroom inside the Silver Dollar Bar! Throughout the week local bands and nationally recognized groups are featured. 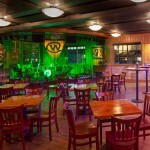 Live music every Tuesday, Thursday, Friday, and Saturday featuring Bluegrass Tuesdays - Plus special performances. 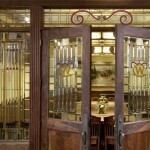 Private Dining- The Wort Hotel and Silver Dollar Grill offer fine private dining options. The Clymer Room, part of the Silver Dollar Grill, is the perfect venue for any group under 26 people. The space features 12 of the valley artist John Clymers prints depicting the Louis and Clark expedition, black walnut tables, stained glass, customizable gallery lighting, and Silver Dollars embedded throughout the room. This room is perfect for special dinners, meetings, receptions and presentations. Great room, great service and very accommodating to all our needs. Just outstanding. Credit Card Deposit Required - 1 night deposit for 1 night stays, 2 night deposit is required for 2 or more night stays. If the reservation is cancelled within 14 days of arrival, the entire stay is forfeited. Cancellation of room nights during and individual stay (i.e. early check out) received within 14 days of arrival will be charged in full for each room night cancelled. If the reservation is cancelled prior to 14 days of arrival, the deposit is fully refundable. The Wort Hotel is a non-smoking facility.